Assets of the company consist of railway rolling stock, built in 2012-2014, which secures transportation of industrial cargo within Ukraine, Russian Federation, CIS and Baltic countries, Hungary and Poland. OST-West Logistic Netzwerk GmbH company was founded in 2010 by the team of professionals, working at the railway transport market. Company’s modern activities are based on more than 40-years practice of work in the sphere of railway logistics of mining and smelting enterprise of Ukraine. The singularity of the company is in the synthesis of experience and innovation activity in the sphere of railway logistics as well as in modern way of business operations. OST-West Logistic Netzwerk GmbH successfully develops transport links between Ukraine and European Union, which contributes to border integration. Cooperation with Rail Freight Group as of 2000, with European Rail Freight Association as of 2004 allows adoption of progressive models of building of business and application them for further development of liberalization processes in railway industry. Full range of activities on arrangement of railway transportation at operating domains of CIS and Baltic countries, Poland, Hungary and Romania. Transportation of steel products, iron-ore materials etc. All day (twenty-four-hour) searching agent services. improvement of technical-and-economic indexes of wagons. Immense experience, successful initiatives in development of railway sector, active lobbying of the issues of the branch at the legislative level land customers to OST-WEST Logistics Netzwerk from both state and private sector largest cargo-generating, wagon-building and railway enterprises of the branch. OST-West Logistic Netzwerk GmbH by its activity facilitates the development of progressive model of transport market, working on the basis of European integration, set out in Directions of EU NoNo 91/440/EU, 2001/12/EU, 2001/14/EU, 2008/57/EU, develops transport connections between Ukraine and European Union, which contributes to border integration and reinforcement of liberalization process in railroad industry. Only within the year of 2013, 8962555 tons of cargo was transported by the company’s rolling stock. One of the branches of the company’s activities is innovation activity: improvement and construction of new models of rolling stock, development of hardware systems in the sphere of railway logistics. Company has many years of experience of joint manufacture of wagons with wagon-building enterprises: State Enterprise “Stryiskiy wagon-building plant”, Wagon building plant OJSC “Dneprowagonmash”, PJSC “Diesel plant”, State Enterprise “Ukrspetswagon”. 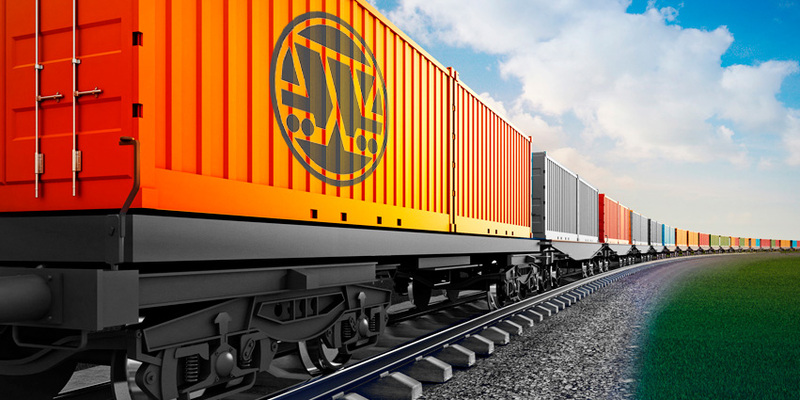 Because of wagon-building companies’ supply of materials, components and spare parts, production time of wagons decreases and the cost of wagons goes down. Common projects with financial and banking institutions regarding purchasing and expansion of inhouse rolling stock, as well as manufacturing of new wagons are underway.